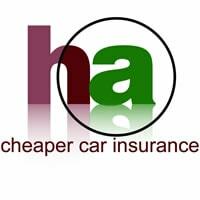 Great deals on 4×4 Car Insurance for UK drivers with HomeApproved. Access all the top niche, specialist and mainstream four wheel drive vehicle insurers. Click through on the ‘Get a Quote’ button above to compare 4×4 car insurance quotes from over 100 of the leading UK motor insurers, and obtain the most suitable cover and protection you require. The Quotezone click and compare service is entirely free to use. It is a totally independent and impartial insurance comparison site, already helping over 1 million drivers across the UK to get the best deal. Whether your vehicle is xMOD, modified, imported or Q-plated you will be able to obtain competitive comparison quotes and low premium offers from both mainstream providers and specialist motor brokers and intermediaries. Drivers of the latest Range Rover, Land Rover Discovery TD4, Toyota Land Cruiser, BMW X5, Audi Q7, Mercedes ML, Mitsubishi Shogun 4x4s through to old favourites can obtain the most suitable policy. Often drivers will require a policy with a combination of features and benefits different to standard motor insurance policies. It is often worth pursuing an insurer with the right skills and knowledge to deliver the most relevant and cheapest premium. Through Homeapproved you can access UK 4×4 car insurance insurers specialising in providing cover for commercials, off-roaders and also competitive quotes for drivers with adverse driving records including previous claims and convictions. Off-road car insurance tailored to your exact needs. Obtain the level of cover and protection you need. Incorporating build cover, greenlaning, show cover, agreed values, payments by direct debit, and cover for multiple vehicles. You can be confident there will be a policy and cover level to suit your needs. If you are struggling to find a value-for-money deal this might well be because many traditional policies and mainstream UK car insurers are cautious of people who drive non-standard, commercial or modified 4x4s. In this instance a niche car insurer could be your answer. The best insurers will cover every make and model of all-terrain vehicle! Drivers purchasing their first 4×4 vehicle are often struck as to how much more the premiums are compared to a hatchback or saloon. Whilst the benefits of safety, added space and reliability are high up on the motorists list of priorities – double digit increases in motor insurance premiums are most definitely not! Why is this? The answer is mainly due to the fact that many 4×4’s will fall into a higher car insurance group. However, in addition how you may use the vehicle also plays a part (i.e. off-road use).